BrainFIX -STIM R&R - Stimulant Solution - may provide nutritional support for restoring and rebuilding healthy brain chemistry that has been altered or depleted by the long-term use of chemical stimulants. BrainR&R - Stimulants - is formulated and may help the neurochemistry that is depleted of dopamine, norepinephrine, GABA and serotonin through the use of chemical stimulants such as Methamphetamine, Cocaine, Amphetamine, Adderall, Ritalin etc. The extended use of chemical stimulants may result in serious neurochemical imbalances, especially the neurotransmitter dopamine. This deficiency, coupled with the user's tendency to neglect proper nutrition, sleep and exercise, can contribute to the depleted neurochemical state of the chemical stimulant user. ####'''BrainFIX - Stimulant####### - contains a mix of amino acids. Among these are l-phenylalanine and tyrosine that may build dopamine and norepinephrine. These neurochemicals, in balanced proportion, may provide an elevated, positive mood, good feelings toward others, sharper thinking, heightened awareness, quicker recognition of consequences and may allow us to focus our attention and behavior. Brain R&R - Alcohol - may provide nutritional support for the natural replenishment of neurotransmitters depleted by the long-term use of alcohol. The brain chemistry involved in many forms of dependencies has been carefully described by qualified researchers for almost 30 years. Scientists have now concluded that the compulsive desire for excessive alcohol consumption in most instances has a genetic origin that is triggered by environmental factors.Excessive use of alcohol is not a sign of a weak individual and is not an indication of irresponsibility or instability, but rather it is an actual physical condition that some individuals are born with and others unwittingly develop. This vicious cycle is continued in people's lives until they discover a healthy alternative to help control the desire to drink excessively. It is believed by many that the deficiency of a number of neurotransmitters is associated with excessive alcohol use. These neurotransmitters are GABA, Enkephalin, Dopamine and Serotonin. When these neurotransmitters are in a deficient state, either via genetics or environmental stress, the person experiences unpleasant and unacceptable feelings of anxiety, inadequacy, anhedonia (lack of pleasure), and emotional instability. BrainR&R may provide a natural means of dealing with neurotransmitter deficiency. Alone, BrainR&R, along with a healthy diet, may support the replenishment of these neurotransmitters that may ease the desire for excessive alcohol, and may increase internal calm. Brain R&R also contains ingredients that may reduce cravings and have anti-addictive properties. ​An individual's brain naturally produces certain chemicals. Once a person turns to an outside source (such as alcohol), which contains some of the chemicals that the brain already produces, the brain may recognize an overabundance of these elements and may slow down their production, thereby creating a deficiency. ​One way to achieve success and mastery is to practice and to utilize the guidance and mentorship of people who have already achieved success. Recovery Coaches help people entering recovery practice their recovery skills, and guide them every step of the way, building a solid foundation, so that when obstacles inevitably appear they will be prepared. Recovery Coaches also known as Recovery Support Specialists or Sober Coaches, provide part time support for people entering or re-entering recovery who are looking for help navigating recovery. Recovery Coaches provide encouragement, accountability, wisdom, and experience. Our recovery coaching helps clients implement the skills they’ve learned in treatment and translate those lessons into the real world. Recovery Coaches help clients identify potential danger before it arises. We help clients to identify goals and implement specific action plans to achieve their dreams and develop a sober lifestyle Coaching can be set up for just a few hours a week, or for every afternoon, or for eight hours a day/7 days a week, or 24/7—the schedule can be tailored to the client’s specific needs and goals. Imagine how much more secure and confident you and your loved one will feel knowing that they have someone engaged in their recovery with them, someone they can trust and count on to have their best interests in mind at all times. Relapse can be easily avoided through the help of recovery coaching. 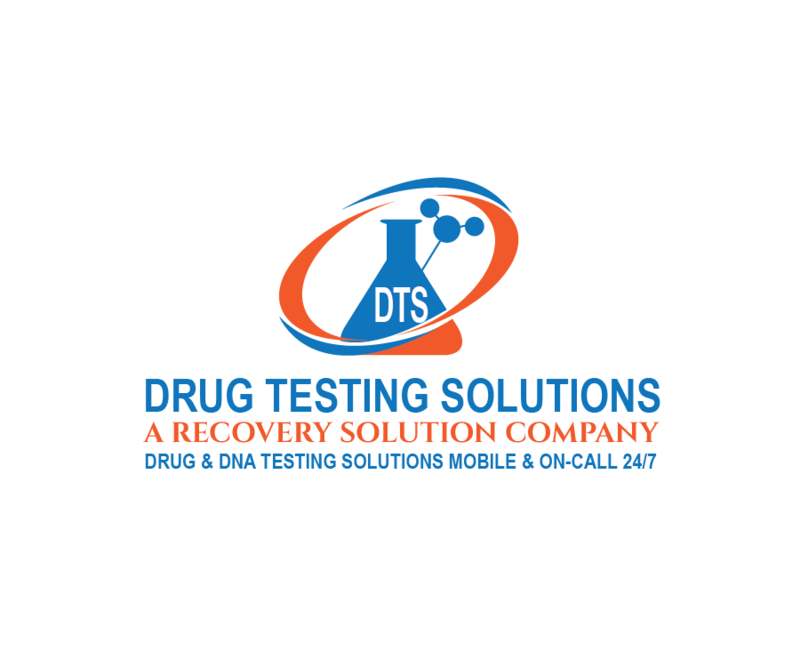 The clients that retain a certified Recovery Solution Recovery Coach will actually help design and implement their own Sober Success Life Plan. The plan is designed and adjusted according to the client’s daily choices, behaviors and needs. The foundation for the Sober Success Life Plan are the 7 Dimensions of Wellness: Social, Spiritual, Occupational, Physical, Intellectual, Emotional, and Financial. The Sober Success Life Plan that our Recovery Coaches use taps into a client’s strengths, minimizes weaknesses, and helps a client abstain from active addictive and/or codependent behaviors. The Sober Success Life Plan, as well as the Recovery Coaching contract itself, is a collaborative and client-centered plan. At Recovery Solution we believe the client knows best what has or hasn’t worked in their lives and recovery coaching helps to guide this knowledge into success and provide accountability to ensure follow-through. Our Recovery Coaches work with each client to highlight, leverage and grow their own strengths as the basis for deciding who they want to be in the world; how they show up, and what needs, goals, and actions are most important to them. Our Recovery Coaches hold the client accountable to their own plan, helping them realize the life goals and dreams that they have identified as important to them. Recovery Coaching is based on Seven Dimensions of Wellness. ​Recovery happens on a continuum. It is not an event that happens, but a lifelong journey to health and well-being. Our Recovery Coaches help clients gravitate more consistently toward choices and behaviors that bring desirable rewards. Recovery Coaches also hold clients accountable to the undesirable consequences that poor choices and behaviors create. Clients with a Recovery Solution Recovery Coach can expect to witness real improvement in their lives as they begin to realize their short and long-term goals. Our Recovery Coaches are skilled communicators and can convey practical guidance to the client in the one-on-one setting that helps the client improve their own communication skills. As they learn new communication skills they are then equipped to take responsibility for the relationships in their lives. As a result, families, loved ones, co-workers and friends become beneficiaries of Recovery Coaching as well. Although several of our Recovery Coaches are also Licensed Chemical Dependency Counselors or Addiction Therapists, they do not act as a client’s therapist. There is little emphasis on the past or related traumas and they do not diagnose or treat addiction or mental health issues. Rather, recovery coaching focuses attention on the client’s strengths, dreams, objectives, and the choices they make and actions they take each day. The Recovery Coach provides their expertise, guidance, skills, and own success in recovery to help define and support the steps defined in the Sober Success Life Plan. This dynamic between client and Recovery Coach is what sows the seeds to enact powerful change that leads to successful day-to-day living. Our Recovery Coaches ask the tough questions and listen carefully to the answers; helping to reflect back with clarity the client’s own intentions for themselves and their lives. ​Who are our Recovery Coaches? Our Recovery Coaching team is comprised of a diverse group of women and men from all walks of life. Because our clients are also from all walks of life, we custom-pair Recovery Coaches with clients based on what the client wants to realize in their own life. Our Recovery Coaches include individuals with a vast array of experience and skill sets. Recovery Solution, Inc. Recovery Coaches come from various occupational backgrounds: Nurses, lawyers, social workers, addiction counselors, writers, entrepreneurs, musicians, artists, therapists and more. We have Virtual Recovery Coaching services available via Skype video conferencing. Imagine the comfort and security in knowing that wherever you are in the world, a friendly, experienced, knowledgeable adviser is there to guide you and offer support and advice. Contact us to set up a virtual, in person, or telephone Recovery Coaching Plan. Retain a Recovery Coach Today. To retain a Recovery Coach right for you, your loved one or client, please contact us to confidentially discuss your specific situation. The Recovery Coach provides their expertise, guidance, skills, and own success in recovery to help define and support the steps defined in the Sober Success Life Plan. This dynamic between client and Recovery Coach is what sows the seeds to enact powerful change that leads to successful day-to-day living. Recovery Coaches help clients gravitate more consistently toward healthy, wise choices and behaviors that bring desirable rewards. Recovery Coaches hold clients accountable to the undesirable consequences that poor choices and behaviors create. ​​Focus is placed on the client’s strengths, goals, objectives, and the choices they make and actions they take each day. Clients and Recovery Coach will sit down together to design the client Sober Success Life Plan. The plan is designed and adjusted according to the client’s daily choices, behaviors and needs. The foundation for the Sober Success Life Plan are the 7 Dimensions of Wellness: Social, Spiritual, Occupational, Physical, Intellectual, Emotional, and Financial. 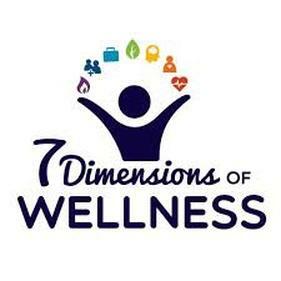 Balanced wellness in the 7 Dimensions of Recovery Wellness is the ultimate goal. The Recovery Coach asks the tough questions and listens carefully to the answers; helping to reflect back with clarity the client’s own intentions for themselves and their lives. With the help of recovery coaching, clients identify goals and implement specific action plans to achieve their dreams and develop a sober lifestyle. 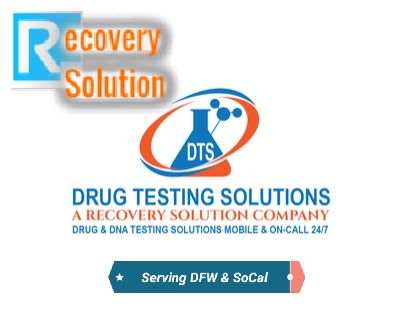 Recovery Coach Training is available through Recovery Solution as well. Send an email to arecoverysolution@gmail.com or call our office if you are interested in becoming a recovery coach. Recovery Coaching and Recovery Coach training are great options for someone in recovery to learn more about recovery and especially learn about themself. It can give someone early on in recovery someting to look forard to and a reason to stay sober, especially if they are looking to make a career change, work part-time, and engage in a fulfilling opportuniy. Coaching can be set up for just a few hours a week, or for every afternoon, or for eight hours a day/7 days a week—the schedule can be tailored to the client’s specific needs and goals. We have specialized coaches for different treatment backgrounds: Eating Disorders, opiate addiction, alcohol addiction, cocaine addiction, poly-substance addiction, etc. We can create a Custom, Full Treatment Plan with Sober Companion Services, Monitoring and Case Management, Recovery Coaching and more.